Can Pakistan direct the Haqqani network AGAINST India? 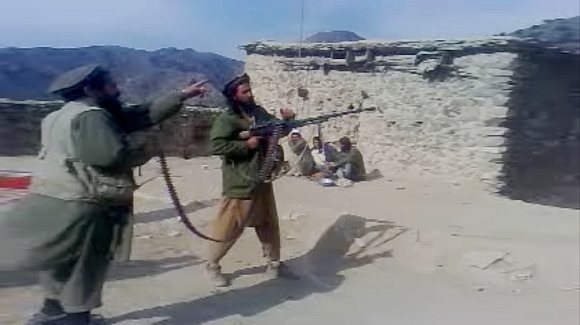 Animesh Roul, a counter terrorism analyst and executive director, Society for the Study of Peace and Conflict, New Delhi says that in the aftermath of the US declaring the Haqqani network as a terrorist organisation there could be retributive strikes in Afghanistan and Pakistan, even though Haqqani's firepower is dwindling. 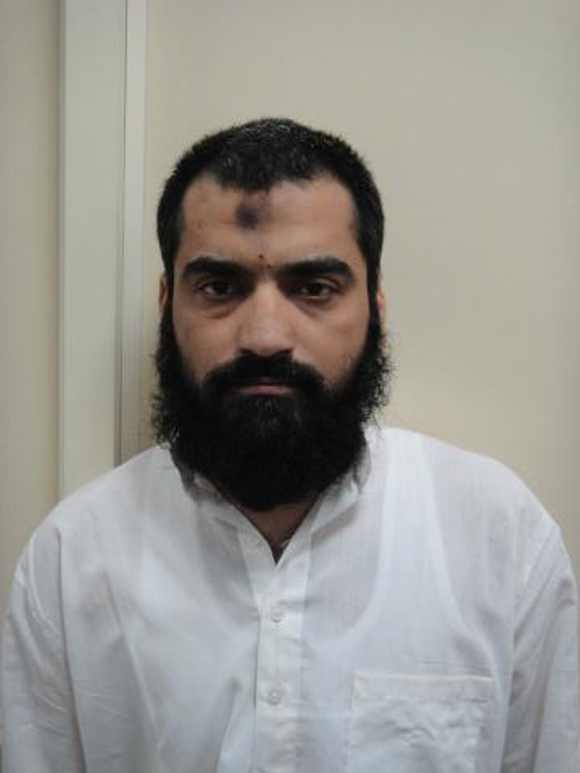 In this interview with rediff.com Vicky Nanjappa, Roul discusses the Haqqani network and the growing threat of the Indian Mujahideen. The question however is whether the network poses a threat to India or not? Your thoughts on the United States designating the Haqqani network as a terrorist organisation. To start with, the Haqqani group is not the Taliban. It's an independent warlord-run-crime syndicate, managed by family/clan members. It is territorial in nature and has both legitimate and illegal activities in the region, including Pakistan and in the Gulf. It has no global jihadi ambitions, but has sophisticated military capability. 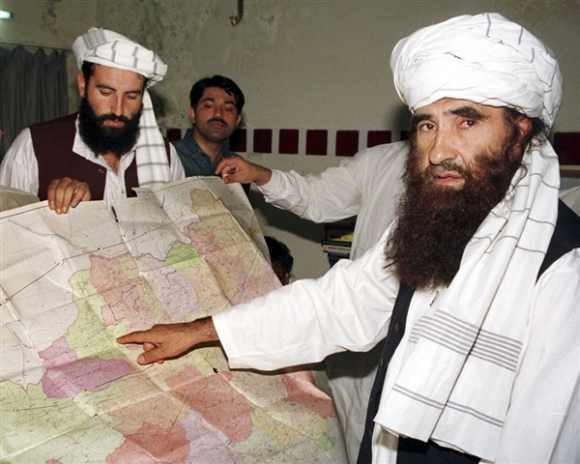 The US had to designate the Haqqani network as terrorist group as the latter has been involved in many attacks against US/North Atlantic Treaty Organisation interests in the Afghanistan-Pakistan region. Also, the Haqqani network's material helps the Taliban and Al Qaeda remain a major concern. Despite Pakistan's pressure not to tag it as Foreign Terrorist Organisation, the US has done it now. Maybe we could conclude this development as a domestic posturing for the US administration. According to Pakistan, the Haqqani network is their only card left (of course, Jamaat-ud-Dawa/Jaish-e- Muhammad ideologues are still there) to mediate for Pakistan with Taliban. The Haqqani network is weakening too. Most of its leaders are already listed as terrorists. Its patriarch Jalaluddin Haqqani is ageing and has been having health issues since 2005. Designating them as an FTO won't impact them immediately, but it will certainly restrict their growth. Again, the designation only can't help; it also need follow up actions such as freezing of assets, restrictions and continuous crackdowns, including drone strikes. What do you think the repercussions of such an action would-be? Will it agitate the network to carry out more strikes? There could be a retribution strike in Afghanistan and Pakistan, even though Haqqani's fire power is dwindling. Post 2014, they can make things difficult for Afghanistan. Both the US and Pakistan could have used the network in a better way in the future. However, a few backdoor talks failed, the situation has now reached at this stage. To note, elements in Pakistan, including the army and the Inter-Service Intelligence still respect the senior Haqqani, and they will help always him to manage internal crisis, such as the neo-Taliban problem in the tribal areas. Also the Haqqani network is considering their powerful existence in the region, their role in any future political assimilation process is still certain, the FTO status notwithstanding. How does such a thing help India? Is the Haqqani network a threat to India? Not really and not likely in the immediate future. The Haqqanis are very much focussed and territorial and they mean business. And now they will be even more willing to survive and to hold their ground. The Haqqani network's actions/activities are basically based on self-interest, and never ideology. India's interest in Afghanistan might be at stake, since now Pakistan can exploit situation in its favour, directing the Haqqani network against India's interests. Which group according to you poses the biggest threat to India today? Is it the Lashkar-e-Tayiba or the Indian Mujahideen? Both are dangerous and they have long-term plans for India. To note, the LeT is a Pakistan-based group and operated under state patronage. So we can't do much to contain its threat, except pressurising Pakistan to act against it, which seems unlikely to happen soon. But the IM is spreading within India and its brand of terrorism is hard to control as they don't have any particular headquarters or set-ups where any military operation can be undertaken. They have unleashed a truly urban guerilla war against the country. There is also a chance in the future that the section of Indian Muslims would see them (the IM) as their only 'card' to stand against Hindu right wing onslaughts or perceived injustice. In the truest sense, 'The Pak-Influenced-homegrown' group is showing the seeds of radicalisation within the country, both with their extreme beliefs and jihadi actions. Still, a section of political elites think that the IM is figment of imagination and believe in a host of conspiracy theories. The growing trend of violent attacks from them should be monitored and managed. What do you think are the exact capabilities of the IM today? We actually don't know the extent of IM's capability and reach. It depends on how they spread their rhetoric in the past and how they will do it in future. They manage to gather support within, because of the many anti-Muslim pogroms in last decades. As of now, we have seen its geographical spread -- spanning from Kerala to Bihar and of course, they have to have safe hibernating grounds in those states not under the intelligence radar and yet to witness terror incidents. Of course, the places which can provide them fertile grounds for easy recruits and safe haven could be Odisha, Himachal Pradesh or Uttarakhand. The firepower again depends on the local supply, resources and available materials. IM's financial potency is still a mystery, except some known Gulf connections and individual funding sources. Here, the local support is vital to IM's resilience than intermittent Pakistan or Diaspora/Gulf support. 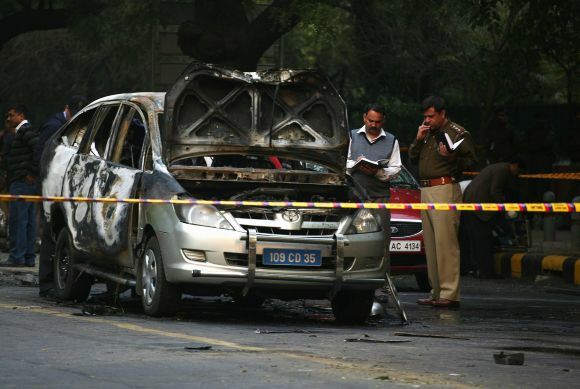 Very recently, we witnessed an attack on an Israel diplomat in New Delhi on February 13. Do you think that there is a trend here which we may need to worry about in the days to come? Definitely yes. There is no room for complacency here. To describe it in brief, 'everybody is vulnerable in India'. There are a host of social and political factors to this situation. The February 13 incident shows that very vividly. Whether the Iranian state agencies are involved or not, it is clear that there is a section of Indians who can be exploited to any extent. How do you analyse the situation in Kerala? Many term it as a hotbed for terror activities. It always reminds me about the 1921 Malabar events when I read anything about Kerala's rendezvous with jihad. As a student of history, I have read and researched the origin of violent jihadi movement (against British and Hindus) in India. I traced back through my readings of Stephen F Dale's and others' work on Mappilla and Portuguese colonialism: One of the most striking examples of such an attack occurred near Tellicherry (Thalassery) in March I764. The Tellicherry event occurred when two Muslims entered a Portuguese church during mass and killed one Lizardo Evan immediately and wounded several others without known provocation. However, the only point I would make here is that present-day Kerala has a history of Saudi Wahabi infiltration. And what we see now may be traced back to those times. The Students Islamic Movement of India has a strong base in Kerala, and has organised many successful conclaves there in the past. Many other Islamic groups have reared their heads. The petro dollar is playing a role in radicalising Kerala Muslims. We have witnessed recruitment drives from the Hizbul Mujahideen and the LeT operatives. Last, but not the least the violence against a Christian teacher couple of years ago by suspected Popular Front of India activists speaks volume about the ground situation. So there is no confusion about Kerala's vulnerability to overt jihadism (or say Wahabism) or radical Islamism. We have seen a great deal of cooperation between India and Saudi Arabia. How do you view this relationship today and does this deter terrorists from taking refuge in that country? Things are better for sure between India and Saudi Arabia. However, key IM operative Abu Jundal's deportation is not the only thing we are talking about. There are other crime issues concerning Indian immigrants which should be taken into consideration. Since Saudi authorities have been acting in favour of India, it is certainly a positive sign. On the other hand, Pakistan must have be watching these events as well. So they could play their own game to convince the Saudis not to deport any Pakistanis to India, whether he or she committed a petty crime or a terrorism incident. Maybe at other times, the Saudis may have listened to Pakistan. But after Jundal's deportation, Pakistani handlers would think twice to send anybody to the Kingdom for hiding or raising money for terror. You have written about LeT's Sri Lankan connection. How strong is this connection today and what does India need to do? We all know about LeT operatives Fayaz Kagzi and Himayat Baig's Sri Lanka sojourn. 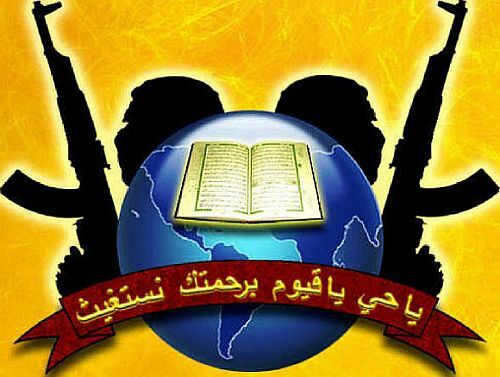 Even though I could not find subsequent links, I still strongly believe that there are Al Hadith/Wahaibi sympathisers who can be exploited by the LeT and other such terror groups, mostly in the eastern districts of Ampara and Batticaloa. Also, Sri Lanka can be a safe hibernating ground for terrorists and a staging point against India. I have little confidence about India's future proactive role as far as counterterrorism is concerned. Still caught in the Tamil quagmire, India and SL have no time to think of Islamic terrorism as of now, though yes maritime terrorism is a concern. I am not a believer of only 'dialogue and diplomacy' to mitigate terrorism. It should be accompanied with ground military actions (covert and overt) and strong political will. India is lacking in both fronts. India has same position with other neighboring countries too. Harkat-ul-Jihad al-Islami's name has been surfacing quite a lot these days. It is believed that they have very strong modules in southern India. Moreover, their name was attached to the recent plot which was busted by the Bengaluru police involving youth who were planning on assassinating some pro Hindu leaders and journalists. There is no doubt that during times of need these brothers in arms will join forces. So whether the HuJI or its remnants or the LeT are scheming new attacks, itself ring alarm bells. In any case, we don't know about their exact affiliations, whether they are HuJi or former SIMI or lone wolves. But certainly south India is a HuJi stronghold (Hyderabad, Bengaluru and as far as Chennai). What they were scheming to do is dangerous. I am not boasting about my assessments, but sometime in December last year, I had told a gathering of counter-terrorism professionals that there would be a new wave of terrorist tactics which might involve assassinations of key political leaders, key judiciary members and noted personalities to spread instant chaos and anarchy. It would send the whole security apparatus into a limbo and may provide the assassins enough time to escape. It also involves less logistics and man power. High-profile target killings would work in an Indian environment since the situation would be too chaotic post incident. Also, acts such as murder/assassinations would be treated as criminal acts under the Indian law and investigation would take years and to nowhere. 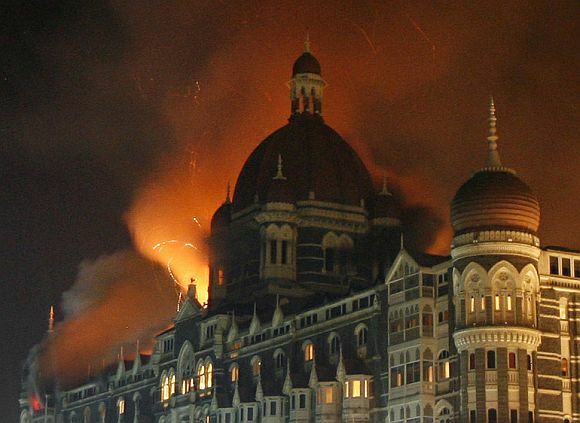 Pakistan always asks for more proof on the 26/11 Mumbai attacks. How long do you think this would last and will there ever be a logical conclusion to this trial in Pakistan? Pakistan is never serious and any government in Pakistan would not play to India's liking. The political parties survive in Pakistan only by playing the anti-India and pro-Kashmir card. 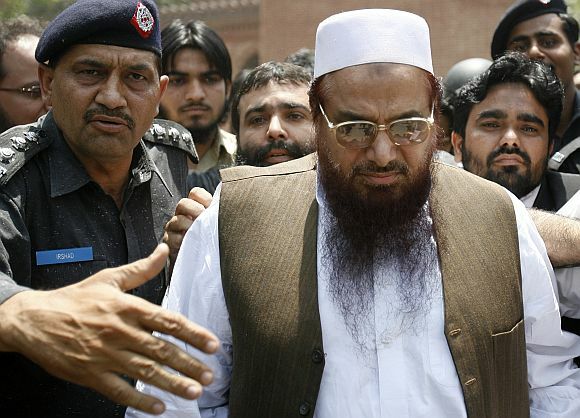 It is a fact that Pakistan is protecting JuD/LeT leaders along with other Kashmir centric jihadi leaders such as Hafiz Saeed of the LeT, Hizbul Mujahideen chief Syed Salahuddin or Jaish-e-Mohammed chief Massod Azhar. Demanding more proof itself is a mere tactic to mislead Indian agencies to believe what they have gathered as evidence so far are nothing but 'literature'(as one Pakistan official termed it). India should understand that as we haven't achieved any single success in solving any of ours with our outstanding issues; be it Sir Creek or Siachen. They are buying time to force India to 'forgive and forget' in the coming years. There is already visible signs of dementia creeping into the Indian establishment's thinking as far as 26/11 events are concerned, seemingly replaced by cricket, Ajmer Sharif and free trade. It seems like terror events would be 'pushed under the carpet' gradually. 'Improving environments for bilateral talks' or 'setting the scene' are pure diplomatic phrases to be used at press conferences or prior to any deadpan joint statements. We can't blame Pakistan alone. We have also a tendency to forget events of importance and have a 'business as usual' mentality.